Struggling with your breathing when exercising? Feel that your breathing is holding you back? The Oxygen Advantage® breathing technique will first address breathing pattern disordered in everyday life, creating a stable foundation on which to build a scientifically-proven set of exercises to improve sports performance. 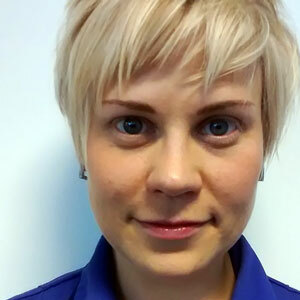 Join one of our UK-based instructors for a one-day masterclass, workshop, course or one-to-one personal coaching to: address every-day breathing pattern disorders; improve anaerobic performance and aerobic performance; optimise oxygen delivery throughout the body; improve energy, focus and concentration, significantly reduce pre-event anxiety, greatly improve your asthma control, reduce breathlessness during exercise. The Oxygen Advantage Program is based Patrick McKeown’s experience of working with thousands of clients and hundreds of health care professionals, along with his extensive research on breath-hold training over the past fifteen years. Patrick has written seven books, including in their respective fields three Amazon.com best sellers, and has been invited to speak at dental and respiratory conferences around the world. Maggie teaches in Spanish and English. She will be holding Oxygen Advantage days in Bristol, Liverpool, Buenos Aires and Alicante in 2019. She is also happy to give talks to teams and groups about the tremendous advantages to be gained from learning to breathe exceptionally well. 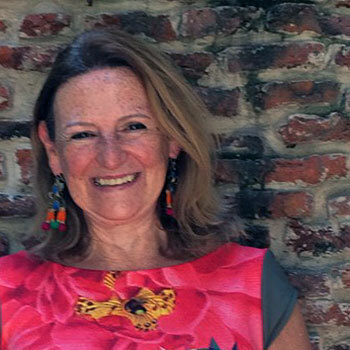 Maggie has been teaching breath work internationally for over six years. Her teaching has helped many people to overcome sleep problems, get relief from anxiety, and address breathing pattern disorders such as asthma and rhinitis. “The Oxygen Advantage is powerful, groundbreaking and accessible. We see improvement in performance and general health within weeks, if not days. My passion is in guiding people of any age, ability or background to breathe so well they are at their best in the activity they love. It is thrilling to be teaching the dynamic Oxygen Advantage programme to sports people as well as to anyone who wants to be as fit as they can be. With over 20 years experience, Tom has trained and worked with some of the greatest names in the self-care, self-development, positive psychology, peak performance and therapy fields. 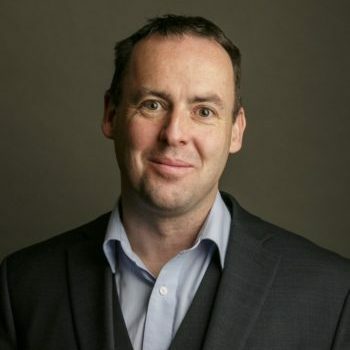 Over the years Tom had developed and delivered several programmes in the self-care, peak performance and self-development fields and works with groups and teams as well as on a 1 to 1 basis. How can breathwork increase creativity? Martin has been working in the design industry for over 12 years. Now his main goal is to explore how can breathing put you in the most optimal mind state whether it is problem solving or inducing Flow States. Combining Oxygen Advantage® with Wim Hof Method to achieve superior focus and enhanced mental performance. Bernard is an Oxygen Advantage instructor, a Chi Running instructor and a Level 3 qualified Personal Trainer. He has a particular interest in promoting sustainable well-being, health and fitness. He is particularly interested in working with people in the 40+ age group, who may be de-conditioned or returning to exercise. Bernard views correct breathing as key to promoting energy and strength, at all stages of life. Andy Fisher is a school teacher, pastoral leader, wilderness survival & combatives instructor. 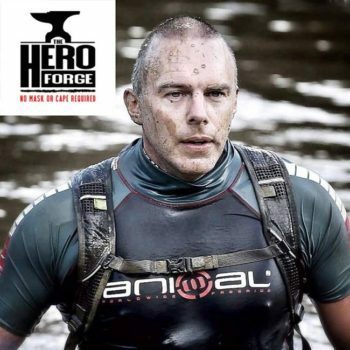 He is also an author and the creator of ‘The Hero Forge’, a programme dedicated to equipping ordinary people with the tools, skills and attributes needed to achieve the extraordinary and make a positive difference in the world. As a life-long asthmatic, Andy has personal experience of the relationship between breath regulation, health and peak performance. While based in Norwich on the east coast, Andy often works with clients in London and elsewhere, helping them to maximise their potential. Paul has been involved in personal development and coaching work for over the 20 years. It has been an amazing journey that he still enjoys and finds fascinating today. Paul assists people in facilitating change for a positive and fulfilled life to achieve their potential by balancing the mental and physical game. 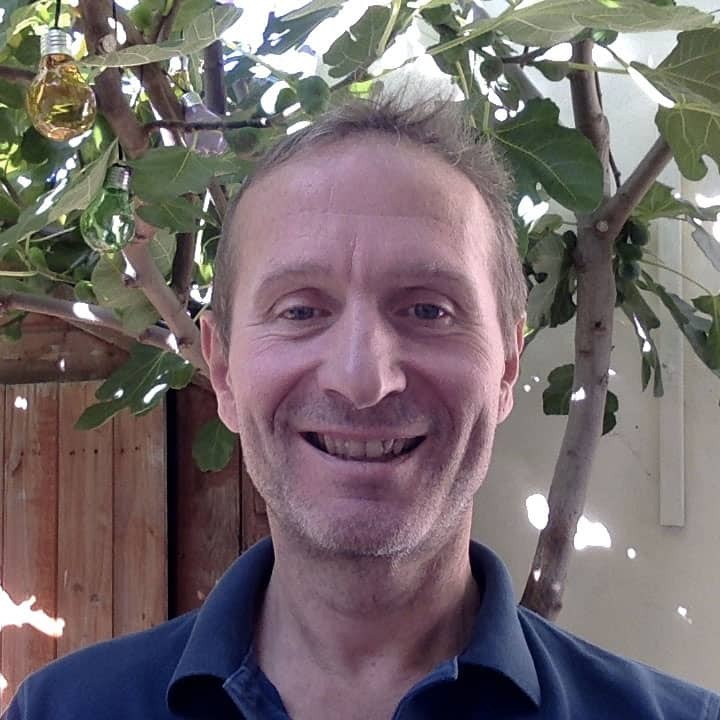 As a therapist, coach and guide Paul is trained in many modalities including Cognitive Behaviour Therapy, Clinical Hypnotherapy, Neuro-Linguistic Programming, Life Coaching, Mindfulness, Buteyko, The Oxygen Advantage, as well as many sports coaching qualifications including cycling, mountaineering, sea kayaking, canoeing, and white-water kayaking. Paul has worked with many people over the years from those looking to change unwanted habits and beliefs to performers and athletes looking to improve their performance, to leading people in remote areas and at altitude. He had completed Buteyko and Oxygen Advantage® training with Patrick McKeown. Paul considers the Oxygen Advantage technique as fitting seamlessly into his work and one of the best mind/body approaches he has found to encourage rapid and lasting change, and allow you to find life's balance, freeing you up to achieve your potential. Anastasis, The Nutritionist Yogi, is an experienced registered Nutritional Therapist & Yoga Teacher from Athens, based in London. He has a track record of working with individuals with a range of health conditions helping them improve their health, as well as yogis advancing their practice. 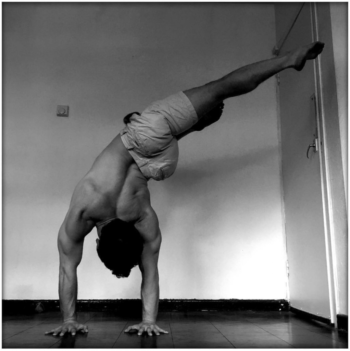 He runs an online clinical practice and works as a consultant for companies using diet, breathing and yoga. Anastasis holds a diploma from the Institute for Optimal Nutrition, the most prominent course of Nutritional Therapy in the UK. 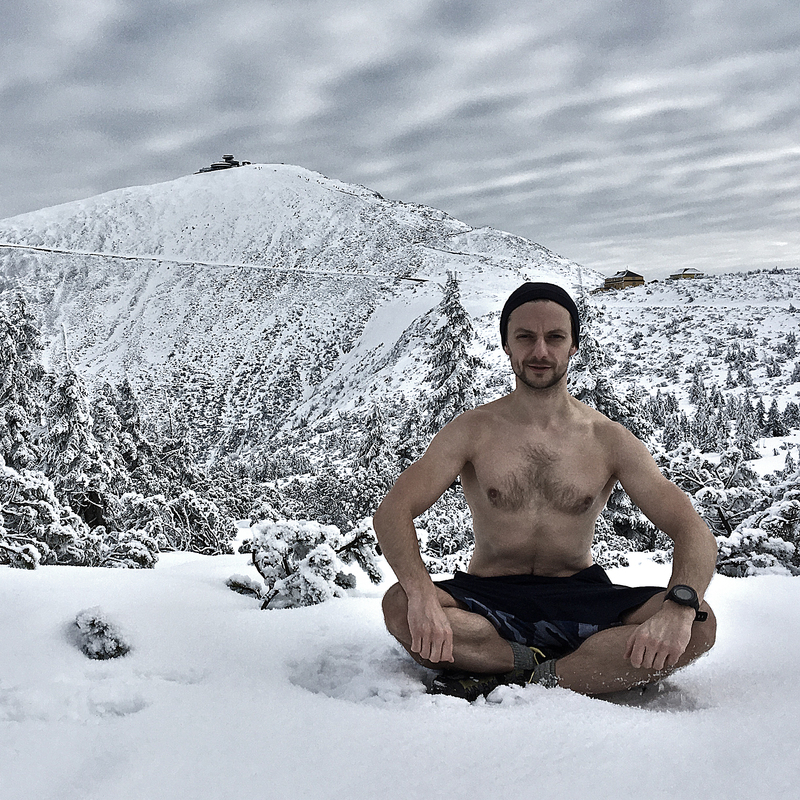 His studies with Wim Hof and Patrick McKeown are integrated into both his teachings and therapeutic practice. In 2018 he began teaching breathing techniques at yoga teacher trainings, companies and research teams. Gray certified as an Oxygen Advantage Instructor in 2016. He is also a level 4 specialist personal trainer, master Chi Running coach and director of Chi Running in the UK and Ireland. With responsible for the management and development of Chi Running programmes across the UK and Ireland, including instructor training. 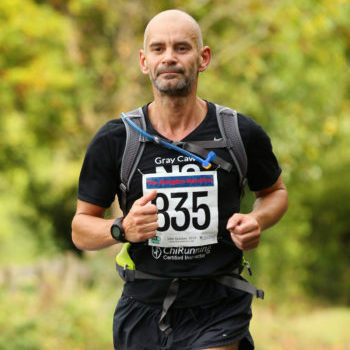 Based in north London, he trains clients on a 1-2-1 basis and also holds regular workshops and retreats in London, across the UK and throughout Europe incorporating Chi Running, walking and the Oxygen Advantage method. 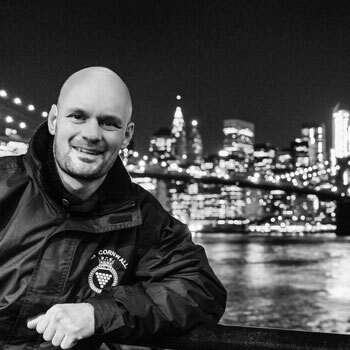 Gray is also responsible for Chi Running Instructor training in the UK and Ireland and works with Patrick McKeown on the Oxygen Advantage Teacher Trainings in the UK. 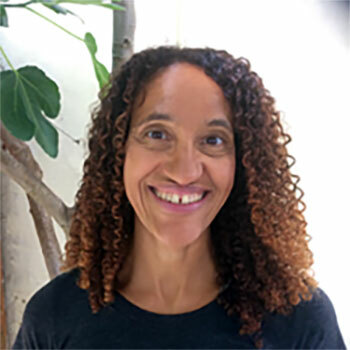 Loliya is an Oxygen Advantage Instructor, a Registered Nutritional Therapist, Personal Trainer, Advanced Pilates Instructor and Soft Tissue Massage Therapist. She is based in North London. She trains clients on a 1 to 1 basis and also runs small group pilates classes. She is interested in helping people reset their health, body and energy. As a professional Sports Therapist Gary Ling is based in Essex and works with many National level amateur athletes, recreational gym goers, and professional Athletes. Before becoming a Therapist Gary spent 5 years serving in the Royal Navy. Gary has a background in competitive football and boxing and was once an Essex ABA boxing champion. He now spends his spare time dancing salsa around a dance floor or more likely on the water, sailing. Gary has, and does work with a commonwealth games athlete, a past world snooker champion and spent 10 years as head physio at non league and professional football clubs. Gary combines physical therapy techniques with respiratory training. “Since becoming a certified Oxygen Advantage® instructor and realising what can be achieved once our respiratory fitness/health levels are improved upon I have seen incredible increases in performance levels of both amateur and professional athletes alike. It is very clear that for most people the respiratory system is their weakest link and improving that aspect of peoples health/fitness creates significant changes and improvement to both health and performance levels”. Katerina is an experienced intensive care nurse and passionate certified yoga instructor who started practicing yoga in 2010. In 2018 she certified as an Oxygen Advantage® Instructor with Patrick McKeown. Katerina completed 200-hour teacher training course in India under the expert eye of her guru Ganga Devi from Himalayan Yoga Institute, where she respectfully received her professional yoga name Kaostubhi. She was awarded with a diploma as a ‘Yoga Sikshasa’ (teacher of yoga). Her yoga journey has continued and she further gained a 200-hour teacher training with Teach Yoga school in London. This training provided extensive knowledge about the anatomy and physiology concentrating on a proper body alignment and body mechanics. Thanks to this course, Kaostubhi discovered a passion to teach intelligent powerful classes with a focus on a body precision and a body awareness. Furthermore, she is also accredited by the Yoga Alliance UK with a 200-hour RYT certification. Kaostubhi is currently studying towards BWY 500-hour teacher training course with Yoga Therapist and Pilates Teacher, Elena Voyce PhD. Kaostubhi’s intention is to help her students discover through yoga the inner love, light, infinite potential, peace within and overall improve wellness in life. Visit the worldwide Oxygen Advantage website for more details on the science behind the technique, podcasts and training videos, other worldwide trainings and to sign up for the newsletter.